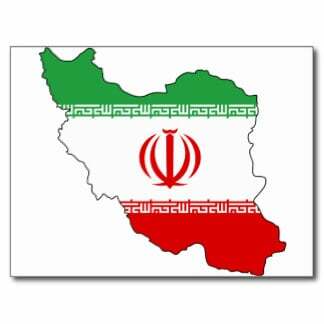 Iran is a bright and shining light for other countries to follow, like Venezuela, Brazil, North Korea – even Europe, those in Europe who are tired of the Washington dictate, but so far haven’t dared taking the actions needed to gain back their national sovereignty. PK: The only way Washington can sanction anyone in the world, including Iran, is through the fraudulent US dollar monetary system, which has been designed totally privately and for the benefit of the Zionist banking cabal. The Federal Reserve Act in itself a fraud, prepared by a few Wall Street bankers and presented under false pretenses to the then President Woodrow Wilson. When President Wilson signed it in December 1913, the Act converted into the Federal Reserve Bank, acting as the US Central Bank, a totally privately owned institution. Ever since the dollar has wreaked havoc around the world, especially as it became de facto the world’s reserve currency. Once the IMF – by orders of the US Treasury – abandoned the gold standard in 1971, countries around the world converted large portions of their reserves into dollar denominated securities, amounting to more than 90% some 20 years ago. Today this proportion has diminished drastically, hovering between 50% and 60% – and sliding further, especially since the Chinese Yuan was admitted officially into the IMF’s basket of now five reserve currencies – US$, British Pound, Euro, Japanese Yen and the Chinese Yuan – which make up the Special Drawing Rights (SDR), a virtual currency, often also used as reserve currency. The two Breton Woods international financial institutions, the World Bank and the IMF, created by impulse of the United States in 1944, just after WWII, under the Charter of the United Nations to give them more legitimacy, are indeed also just instruments of Washington to manipulate the US dollar bound economies (which includes also the Euro). Their neoliberal structural adjustment type operations, for which they have invented different euphemisms to disguise the misery that ‘structural adjustments’ have created and continue to create in poor but resource rich countries, are sanctions – or a type of blackmail – “privatize your public services and natural resources – or perish under debt”. An important part of “Resistance Economy” is, therefore, for a country to detach herself from these two institutions, as well as gradually but steadily also from the dollar based western economy. Look East. That’s where the future is. Iran is already doing this, by adhering to the SCO (Shanghai Cooperation Organization). There is a strong axis of economic development forming – Russia-China-Iran – promoting the OBOR – One Belt-One Road, also called the new Silk Road – a massive economic development program, initiated a few years ago by China’s President XI Jinping. This project purports to link Vladivostok with Lisbon and Shanghai with Hamburg and everything in between, with transportation networks, industrial and agricultural development, as well as universities and research institutes for scientific new developments. Q: Considering the long lasting economic sanctions on Iran – mostly imposed by US – can we say Iran is in an economic deadlock? Or the time of unilateral economic sanctions has come to an end? The process of breaking loose from the west, requires perseverance. But with steadfast political will, exit from this decaying system is possible. Iran is well on her way to a new, peaceful and constructive economic system. And best of all, Iran is a bright and shining light for other countries to follow, like Venezuela, Brazil, North Korea – even Europe, those in Europe who are tired of the Washington dictate, but so far haven’t dared taking the actions needed to gain back their national sovereignty. That’s Key. Being aware of what national sovereignty means is a vital part of “Resistance Economy”.